I created this logo for Village Elementary School. 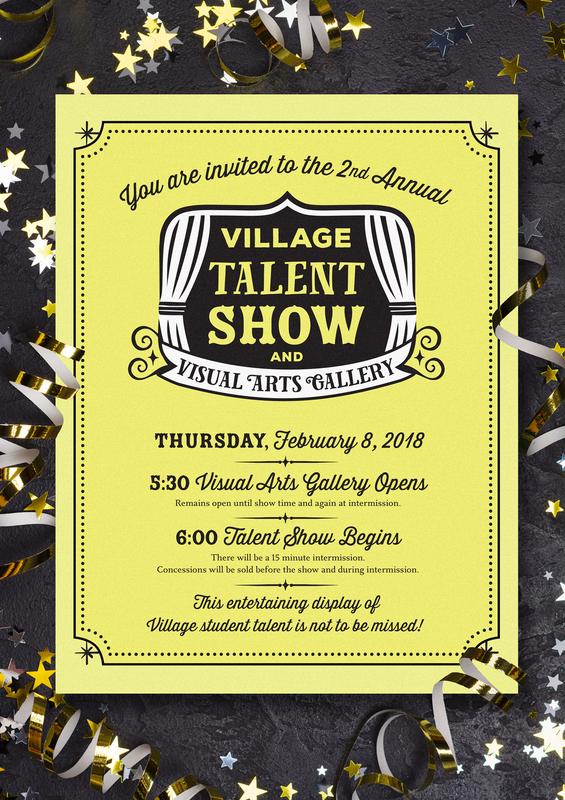 They put on an amazing, well-produced talent show, which incorporates an art gallery. This is the full logo from 2018, used on social media and the school newsletter.